company profile of Donghai County Teng Hui Quartz Material Co.,Ltd. Donghai County Teng Hui Quartz Material Co., Ltd is located in the Chinese renowned and foreign "Crystal City" of Donghai County in Jiangsu province. Highway, railway, civil aviation, shipping lead in all directions, traffic is very convenient. 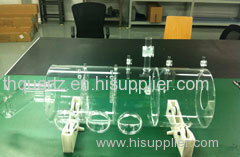 The company's products are various specifications of quartz glass tube and various non-standard quartz instrument. 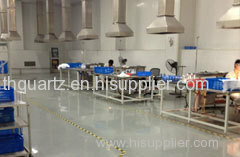 The factory location is very superior, the transportation is convenient, the product transportation convenient. Our advanced equipment, strong technical force, complete detection means measurement, quality assurance system integrity, provide high quality, high standard product for you, to meet the different requirements of users. 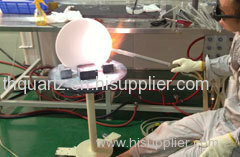 Competitive Advantage: The aim of our company: quality assurance, credibility first, price reasonable. Welcome the old and new customer inquiries, to seek common development. Warmly welcome domestic and foreign businessmen to visit!